Did some sketches of outfits that I would like to wear but do not dare. I like the way this one turned out. It’s done with coloured pencils in my sketch book. She could be a comics character; killing villains in secret by sending them black boxes with poison gas or spiders or something. The dress is far too nice to be given to a bad character…. 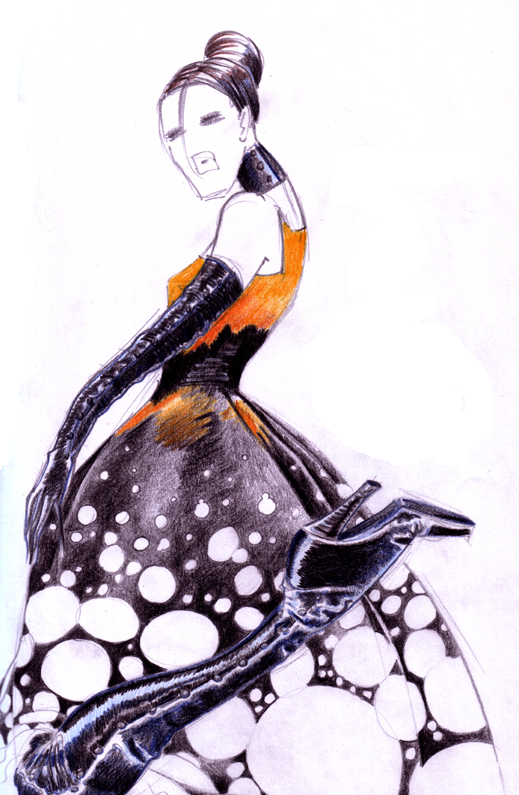 This entry was posted in Sketches & Drawings and tagged black, fashion, illustration, orange, pencil, sketch on January 6, 2012 by MaTo.